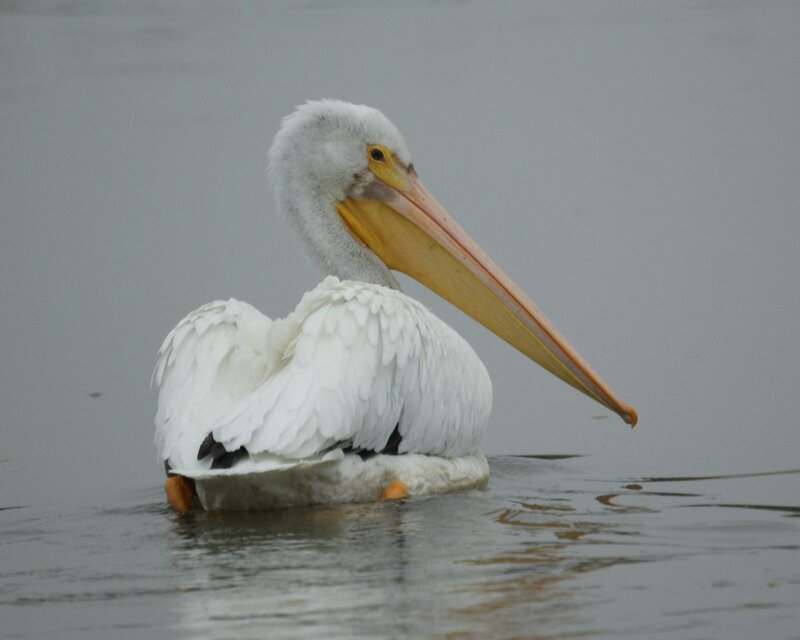 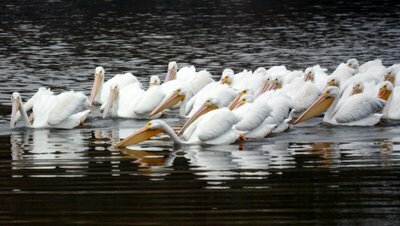 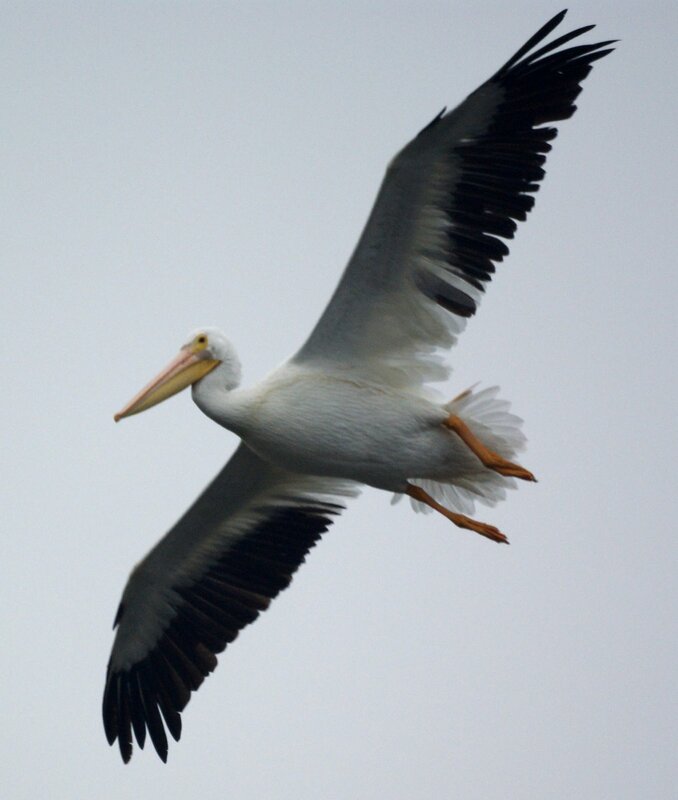 The American White Pelican does not dive for food like the brown pelican. 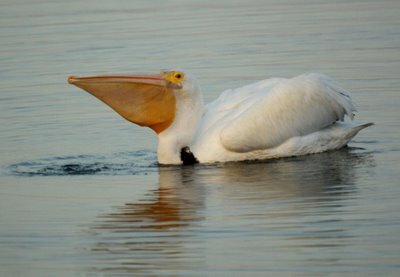 It feeds while swimming. 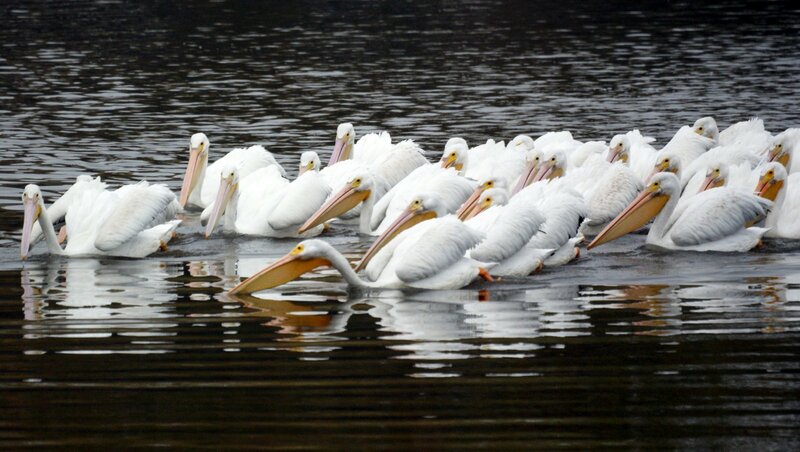 We were surprised to see a group of pelicans fishing together.